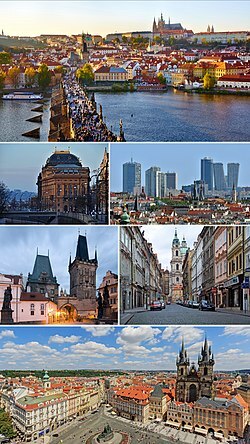 ^ Czech Republic: Major Cities. CITYPOPULATION. [12 May 2014]. 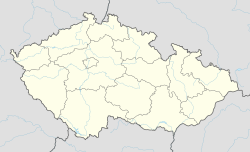 ^ Czech Republic Facts. World InfoZone. [14 April 2011]. ^ Prague in statistics. praguewelcome.cz. [18 November 2013]. ^ Tomio Okamura: Praha je 6. nejnavštěvovanější město Evropy – Televize plná Prahy. Metropol.cz. [27 May 2012]. （原始内容存档于2012年7月15日）. ^ King, Tayfun (6 February 2009)"How Tourism Has Changed Prague Since the Fall Of Communism". Tayfun King, Fast Track, BBC World News. ^ Krushelnycky, Askold. Officials Try to Shift Blame as Prague's Metro Floods. The Daily Telegraph (London). 24 August 2002 [28 January 2008]. ^ Art Saved from European Floods. BBC News. 15 August 2002 [28 January 2008]. （原始内容存档于2008-02-14）. 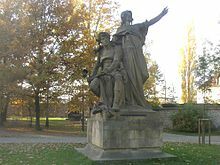 ^ Basic Prague and Czech Republic Info. prague.cz. [27 May 2011]. ^ Latitude and Longitude of World Cities: Frankfurt. [27 May 2011]. ^ Latitude and Longitude of World Cities. [27 May 2011]. ^ Latitude and Longitude of Vancouver, Canada. [27 May 2011]. ^ Český hydrometeorologický ústav机构的气象资料. [2007-03-30] （捷克语）. ^ 气象资料. [2007-03-30]. （原始内容存档于2007-04-05） （英语）. ^ World Weather Information Service – Prague. World Meteorological Organization. [28 February 2013]. ^ Praha Climate Normals 1961–1990. National Oceanic and Atmospheric Administration. [28 February 2013]. ^ 德国福音教会（EKD）. 德国福音教会历史资料. [2007-03-26]. （原始内容存档于2007-05-07） （德语）. 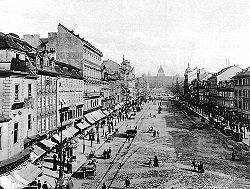 ^ Census shows population rise in Prague. Prague Daily Monitor. [16 April 2014]. （原始内容存档于2014-04-16）. ^ Pohyb obyvatelstva v Českých zemích. Czso.cz. [14 September 2013] （捷克语）. ^ Počet obyvatel v obcích České republiky k 1.1.2013. [14 September 2013] （捷克语）. ^ 布拉格年度文化活动. 捷克欧中文化交流协会. 2006 [2007-03-26]. （原始内容存档于2007-09-30）. ^ Prague Strategic Plan, 2008 Update (PDF). Official site. City Development Authority Prague. 2010 [22 April 2010]. ^ 欧盟国家人均GDP资料 (PDF). 2006 [2007-03-26]. （原始内容 (PDF)存档于2007-03-12） （英语）. 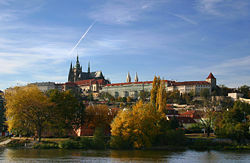 ^ Business – Prague Is Best CEE City for Business – Survey. 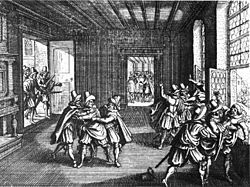 The Prague Post. 13 October 2010 [14 April 2011]. （原始内容存档于2010-11-25）. ^ EIU Media Directory. Eiuresources.com. [14 April 2011]. （原始内容存档于10 July 2011）. ^ 影视制片人在布拉格找到了家. 2001-05-23 [2007-03-26] （英语）. ^ 英国电影业不堪税收重负，前往海外发展. 2005-10-01 [2007-03-26]. （原始内容存档于2007-10-31） （英语）. ^ Company Profile - Dopravní podnik hlavnívo města Prahy. Dopravní podnik hlavnívo města Prahy. [2013-09-11]. ^ Czech Transport. [30 May 2011]. ^ "Imprint 互联网档案馆的存檔，存档日期2012-02-26.." Czech Airlines. Retrieved 4 February 2010. ^ Partnerská města HMP [Prague – Twin Cities HMP]. Portál „Zahraniční vztahy“ [Portal "Foreign Affairs"]. 18 July 2013 [5 August 2013]. （原始内容存档于25 June 2013） （捷克语）. 捷克大排档 - 布拉格生活论坛 cyo.cz .